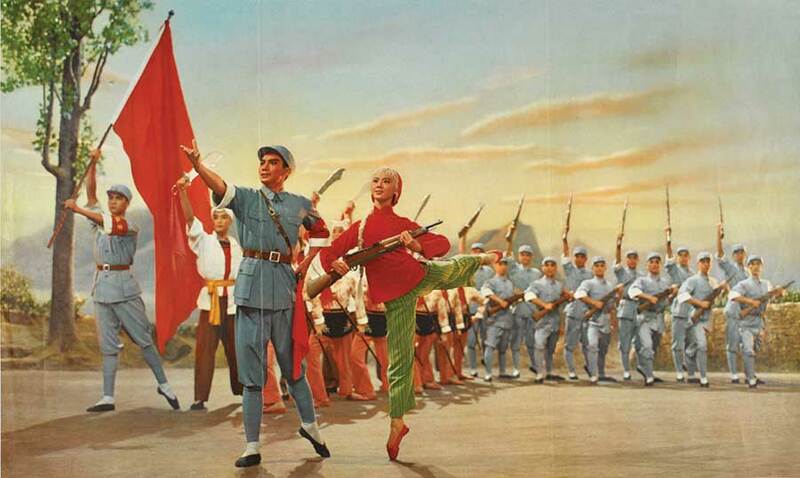 The White Haired Girl from a Chinese Film Poster, 1950. Here at the Academy we believe that totalitarian regimes have much to teach us. They look such happy boys and girls after all..
We hoped for inspiration and the exhibition didn’t disappoint. It was rather large and a little too much to take in on one visit, but their were some truly striking images with even more striking implications. . However, Miss Malice and I both agreed that our favourite piece of propaganda was the Burt the Turtle who blithely advised the school children of 1950’s America to “Duck and Cover” under their desks in case of a nuclear explosion. Not only did this seem to be an extreme case of too little too late, but the saccharine little song and the oppressively cheerful animation of Burt the Turtle spoke powerfully of a false and brittle confidence in the face of a very real fear of nuclear attack. Rather dark as this all is, Miss Malice and I couldn’t help musing whether Duck and Cover would be useful strategy when faced with an explosively angry Mistress and had to agree that the effort would no doubt be equally futile. We can assure you that ducking and covering would be quite futile and only annoy Us further! This entry was posted in Mistress about Town on July 18, 2013 by Miss Myers.